Stony Hill Winery, St. Helena, CA (Napa Valley). 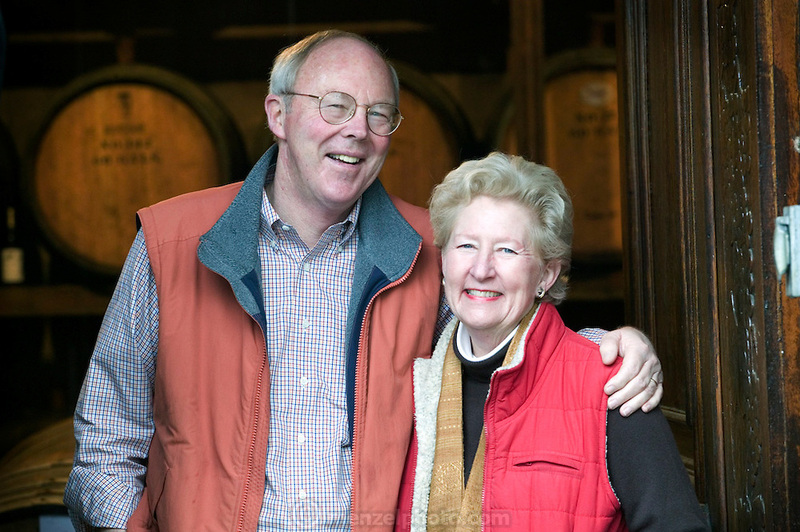 Peter and Willinda McCrea, owners, in the winery with doors carved by Peter's father who started the winery. Stony Hill Winery is known for producing fine white wines which are aged in oak barrels that have been used for as many as 30 years, thereby not adding much oak flavor at all to the wine..